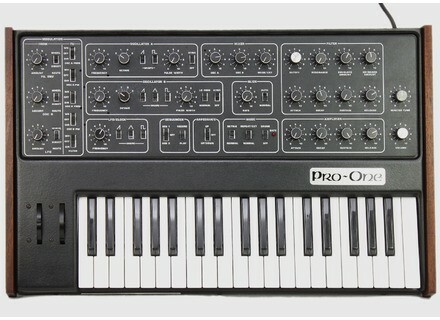 Pro-One, Analog Synth from Sequential Circuits. Probably the best part of this synth is its modulation matrix, allowing you to assign LFO, Filter Envelope and OSC B to OSC A Freq, OS A PW, OSC B Freq, OSC B PW and filter freq. For a vintage analoge synth this is pretty damn good. This allows you to make many different sorts of sounds with it, but it will still always sound like a pro-one tho, its no chameleon. 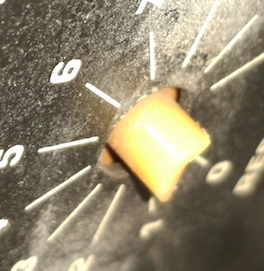 Also got an audio in, which is brilliant for adding analogue warmth or even distortion to digitally produced sounds. Well theres no presets or anything like that, so you have to program your own patches from scratch. I found this pretty hard work to start with coming from a softsynth background, but after a while i got the hang of it. However, its still easy to find sounds that are great....but finding a sound that u have in your head takes practice. The keyboard verges on useless so its essential to have a midi conversion. luckily my synth does so this hasnt really bothered me. The sound quality is ridiculously warm and fat, this is an extremely powerful synth. Its very noisy tho (even with the noise osc switched off) but this is normal for a synth of its age (20 years). The general tone of the synth is extremely musical and is suprisingly forgiving when slightly out of tune due to the large harmonic content. 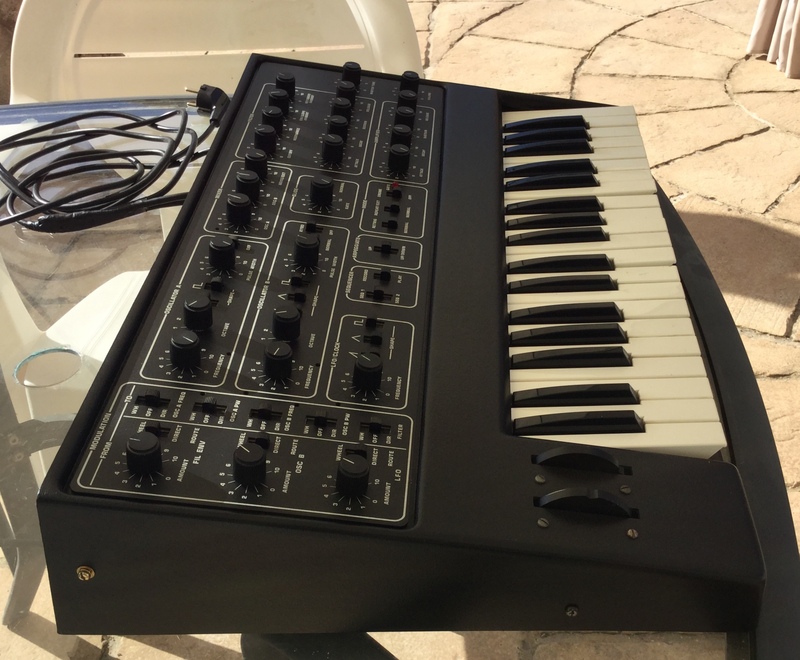 Well its vintage, its real analoge, and it sounds like no other synth. Personally i love it to bits and would keep it over all my digital gear...its unique nature wont appeal to everyone tho, so make sure you have a listen before buying one! choquette's review (This content has been automatically translated from French)" still one of the best single market!" The second oscillator can be turned into a second LFO (switch Lo-Freq) super complete: wave forms of stackable square with PWM ... otherwise remaining in audio frequency it can make FM (linear), the modulating audio filter, kind of Ring-modulation effects .... sounds using the Synchro VCO are truly monstrous (the specialty of Pro-5). the modulation matrix has two slots: one direct and one that involves the modulation wheel (ModWheel) but can be assayed and stack different modulations eg send two times the envelope on the filter! the pitch bender is still quite low design: no return to center automatically, just click in the middle. LFO somewhat limited: no delay (lag), no S / H LFO does not rise in the audio frequency (damage is a 3340 EMC again so it should be possible to easily convert into a 3rd VCO), but three forms of stackable waves (triangle, square, saw)! sounds cover a very wide range, I 'get it to sound like a Minimoog, sometimes as an SH-101, the treble can be crystalline as a prophet 5 or ultra aggressive, true +: speed envelopes ( there on the modular we can do better), if compared to another synth with VCF CEM3320 was added a circuit hyper resonance (a second feedback loop) there is also a change from relative to the standard mounting CEM3320 to allow the lower cutoff frequency of a lower octave. although the sound does not exactly match with my music (rather Roland and Korg) I n 'not get' m apart, each time I lighter bam I come across completely crazy sounds (perfect for the Drum 'n'bass dark well, the break-core ....) and then I fall directly on classy sounds (techno / electro Detroit) leads very funky and "hot" or so "cold" sounds and electronic wholesale impossible to know where we will land is what gives it its charm. troust's review (This content has been automatically translated from French)" PRO-ONE, Mythical but fragile!" Features: Refer to section info Audiofanzine Pro-One, it is very well done and well explained. In summary this is a mono analog 1981, mine has the serial number 7929, which means that the keyboard is good! (J-wire), knowing that the first models were equipped with up to 1500 a membrane keyboard. This synth has a simple design but quite fragile construction. A board on which all components are welded and all functions (pots, switches, connectors etc.). This card is attached to a shell ABS screwed onto a metal base. The whole is ornamented with two sides in thin wood. As mentioned above, the configuration is simple, one button, one function as is usual on an analog of the time. The English manual is very brief. But it is not necessary if one has mastered the use of this type of synth. I appreciate the use of both VCO all completely independent, unlike other synths or VCO 1 is the master and the VCO 2 is align or not. The utilsation filters is a treat. I use it mostly in sequence, bass line sometimes in conjunction with my little Moog Rogue. Another use: connect to an external sequencer (Roland CSQ100) it is interesting because we can combine the sequence of CSQ100 driving the Pro-One, with the internal arpeggiator Pro-One. I sometimes block keys hold the Pro-One in order to modify a sequence. Example: If you create a sequence of 24 notes on CSQ100 driving the Pro-One, you simply create an arpeggio of four notes on the Pro-One, and you get a new well synchronized sequence. This function is not between internal sequencer and arpeggiator Pro-One sets. No Midi sync, it does not, so wav recording sequences for inclusion in the compositions. I have since 1988, following an exchange with a sequencer ROLAND CSQ100, against my Korg MS20 and SQ10. 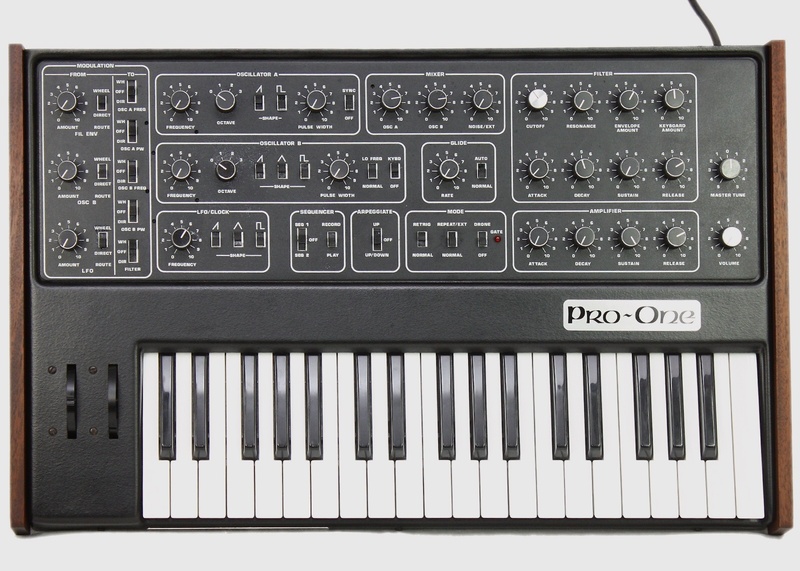 PRO-ONE is better at what I'm looking for is not very attracted by sound research and semi-modular patch type that is the MS20. I keep my PRO-One until further notice you never know. Commissioning still requires a good quarter of an hour wait before being fully exploited, stability VCO requires. This is an old grandpa over 30 years. I wish to know its history from its former owner. petitsynthe's review (This content has been automatically translated from French)" GRAIN IS! A REGAL FOR THE EARS!" Like most Pro one, mine has a keyboard problem: some keys are offset in height. 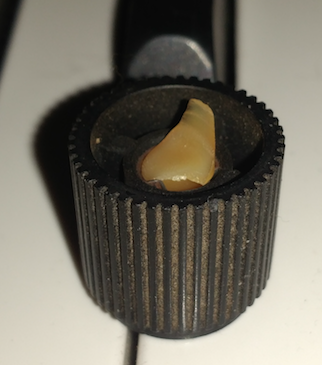 this is a known problem due to poor qualitée Bushings beneath the keys. 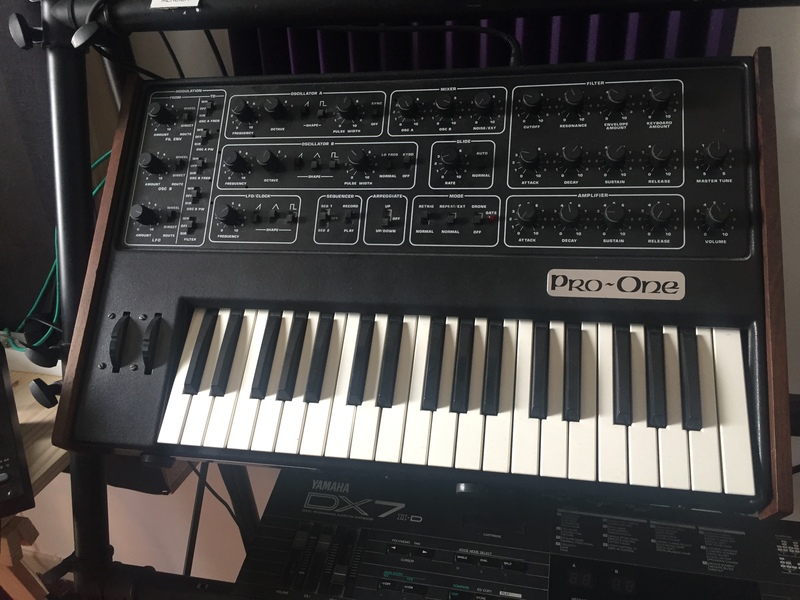 Pro one is actually a Prophet 5 monophonic and without memory, with a slightly different grain (for better bass sounds from those who own 2 but I have not been able to verify). I bought secondhand shortly after trying Arturia Minibrute (for 45 minutes with my headphone, store) even though it is excellent for the price, frankly the sound of one Pro has nothing to see: it is much thicker, bold and dirty! Note that I say that without the snobbery towards Minibrute because it allows to (finally) the analog qualitée within reach of all budgets: it can only be a good thing for the music (and after all it is a matter of taste compared to my musical references). Another point of comparison: compared to Moog Little Phatty my which also has a big and fat enough sound but without the side "dirty" and oscillators "driftent" Pro one: although a grain interresting, it is I is less alive (but I keep it, eh). But nothing for me to do, I'd rather always true imitation, even well done (ok, there is no waiting for the finding, it is not the same price and it is certainly more convenient , etc. ... it's up to you ...): anyway to use a computer to make music for me for a long time, I'm "distracting" and it is a tool work for me (all day). To return to more interesting, I would like to say that I am really impressed by the filter, and especially its resonance envelopes that are faster than I had in a synth! Known examples of songs using this machine - "do not go" Yazoo (1982) for most of the sounds and - "a flash in the night" Secret Service (1981): therefore he excelled especially in styles synth-pop of the early 80s since been widely used to this day. The sounds of "Do not go," sure, that's him! But it is certain that we can do much more titles "funky" electro or "modern" as it is versatile (largely thanks to powerful modulations). My recent purchase but I'm sure I'll keep it very long (how many machines I sold to later regret such as the famous Jupiter 8 premium today? But hey, it was also for in question at the time: to buy a new machine, it was necessary to resell). I think that the sound level (but not the making! ), It is in the top three polyphonic synths, Minimoog in mind. But unlike the Moog, he used a coast relatively reasonable (for how long? Shhh!). This little synth is actually not that obvious to find secondhand (although 10,000 copies were made). One word to summarize what I think?